It’s these ideas that permeate Korean documentary Nora Noh, but they’re not the only strands from the film that stick out. Functioning as both an autobiographical account about the groundbreaking fashion designer and as a historical dive into how Korean fashion - particularly that of Noh’s - has evolved to better empower Korean women, the documentary is a great piece of feminist filmmaking, despite its few loose ends. In spite of more than 60 years of experience as a fashion designer, Noh, it is learned at the beginning of the documentary, is relatively unknown in her own country. Now in her 80s, Noh, with the help of stylist Eun-young, begins work on an exhibition that celebrates her contribution to the wider Korean fashion industry. In an early scene where Noh and Eun-young (who serves as the exhibition’s co-ordinator) clash over ideas on how to present the exhibit, we’re briefly presented with a possible narrative involving the two and their differing opinions. As two different generations working in Korean fashion, this could have brought out an interesting viewpoint into the mix but unfortunately never quite takes shape. Through planning the exhibit, Noh looks back on her personal life as a young woman growing up in a Japanese-occupied Korea. Here, she ruminates on her decision to divorce her husband and leave her in-laws, a decision that ultimately led to her eventual rise as a fashion icon in Korea. 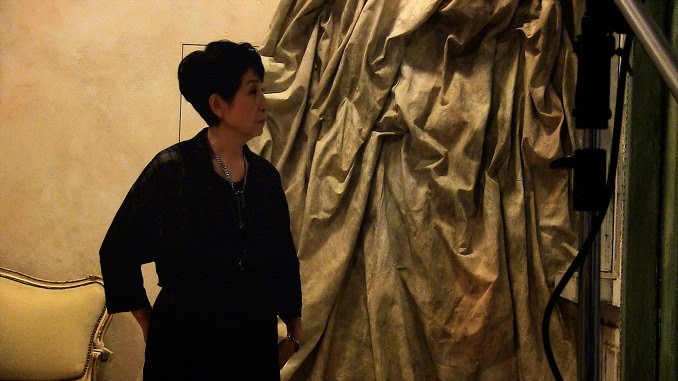 Unfortunately, the documentary doesn’t quite go into much detail about how Noh learned to become a fashion designer or what motivated her to become one. This is disheartening simply because Noh reveals herself to be quite an interesting character but the documentary glosses over her time abroad in America which is where we can assume her love of fashion truly started to flourish. Yet despite these ill-conceived shortcomings, the documentary still stands out for its insightful look at Noh’s effect on women’s culture in Korea. As the first designer to ever hold a solo fashion show in Korea in 1956, Noh’s influence goes far beyond creating high fashion outfits for the wives of important political diplomats – who were also frequent clients of hers. She was the first to create designer readymade clothes that liberated women by making them feel comfortable and confident in how they looked while also giving them a means to be far more practical and functional in the workplace and around the home. Actresses from Korea’s past sought Noh to costume their characters where Noh would be able to come up with designs based entirely on the scripts she received from these actresses. These westernized outfits would then become popular with the scores of women who wanted to be less traditional and more modern, outraging a then conservative society. Testimonies of Noh’s influence are delivered in the form of feminist writers, fashion academics and the clients she built up during her peak as a designer – each of whom talk of their enthusiasm for Noh and give the Korean fashion icon a great amount of credibility. Aside from Noh’s influence as a progressive feminist figure, the archival film footage that filmmaker Kim Sung-hee uses is quite impressive. Some of these clips, it seems, have been given a very clean restoration and for film enthusiasts, it is especially nice to see older Korean films really shine with lovely restored presentations. It certainly helps establish Noh’s costumes on screen and helps make it clear why women would have wanted to try for a look that was as counter-cultural as Noh’s designs. 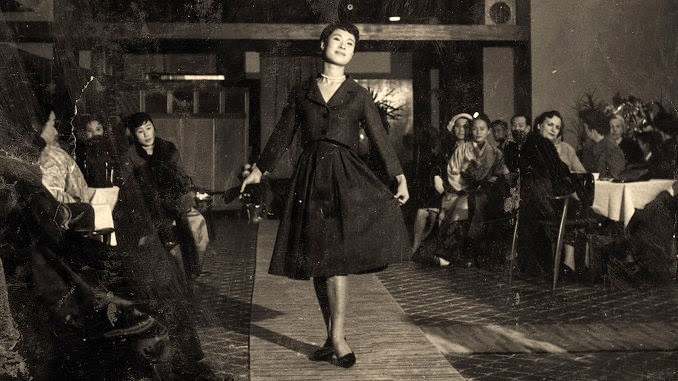 This cleaned up presentation also extends to the archived newscast videos sourced from the '50s and '60s, particularly the footage of Noh’s first major fashion show, which is also surprisingly well restored with little grain. Nora’s story to the top is quite inspiring and though the film doesn’t probe too deeply into her path towards fashion success, the documentary nevertheless is able to present an informed look into how fashion can radically change people and dictate culture. Nora Noh is a scintillating exploration of Korea's cultural history and, including its celebration of a woman who fought to better the lives of her fellow Korean women in her country at the time, is also a film makes a point to champion local, homebred talent.